WARNING - this is for informational purposes only. First-aid should only be attempted by trained people to prevent causing more injury to your patient. 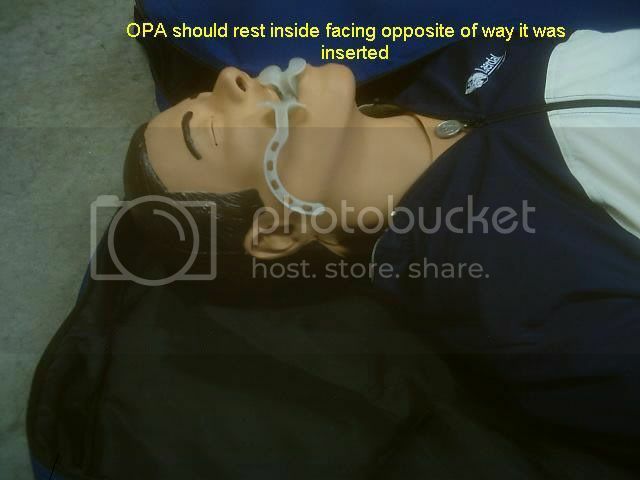 An open airway must be maintained through all care procedures. When a person becomes unconscious the muscles relax and the tongue will slide back into the pharynx and obstruct the airway. 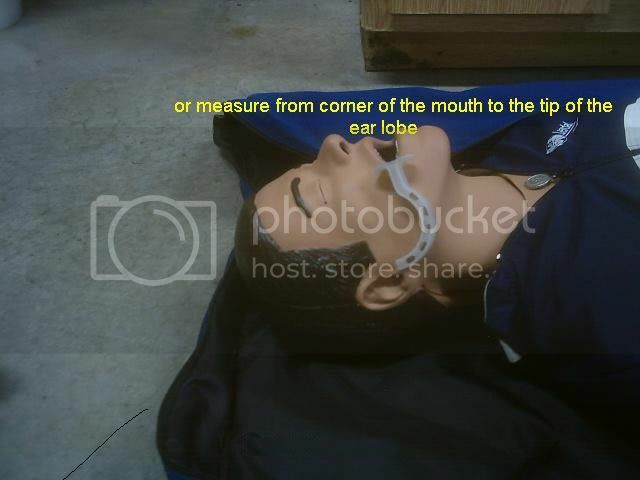 Even though a head tilt, chin lift or jaw thrust maneuver will help open the airway of a patient the tongue may return to it's obstructive position once the maneuvered s released. Sometimes even when the head tilt, chin lift or jaw thrust is maintained, the tongue will "fall back" into the pharynx. Some general rules apply to the use of an oral adjunct. 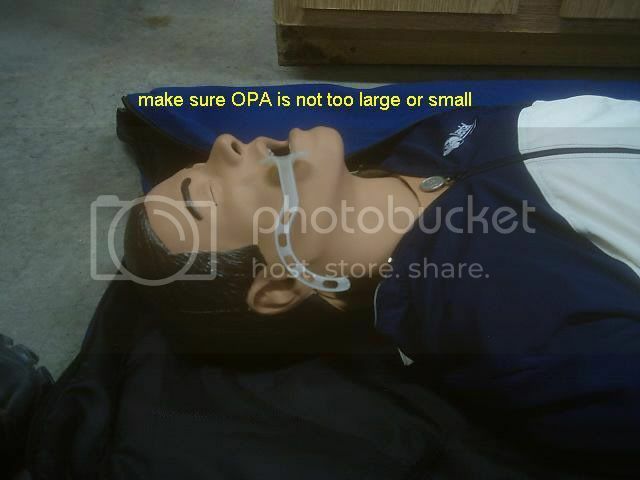 Use an oral adjunct on all unconscious patients who do not have a gag reflex. The gag reflex causes vomiting or retching when something is placed into the pharynx. When a patient is deeply unconscious the gag reflex usually disappears but may reappear as a patient begins to regain consciousness. 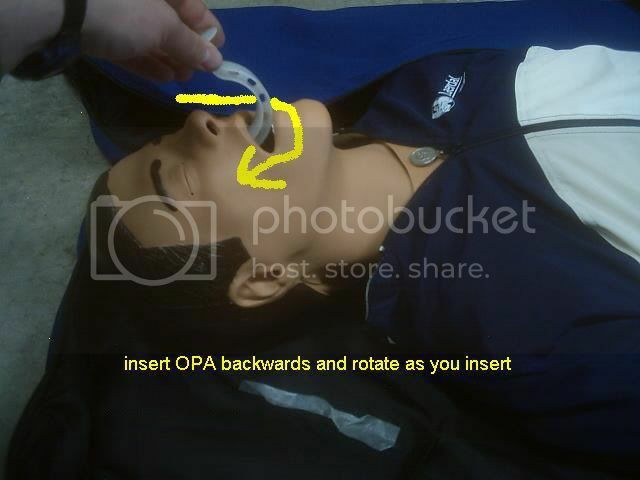 Do not continue inserting the OPA into the patients airway if he starts to gag. 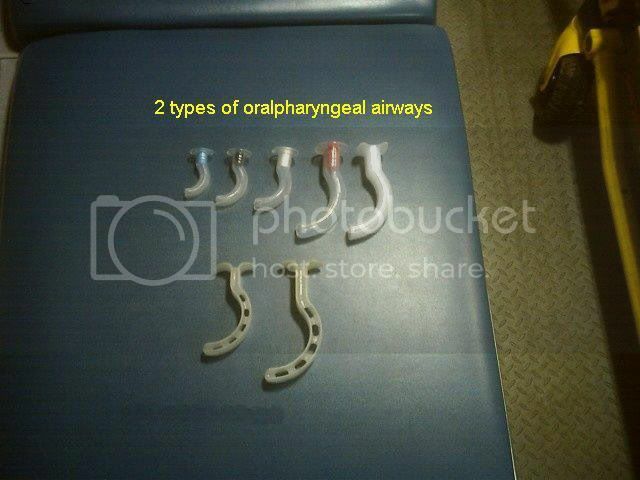 Continue to maintain the airway manually and do not use an adjunct. 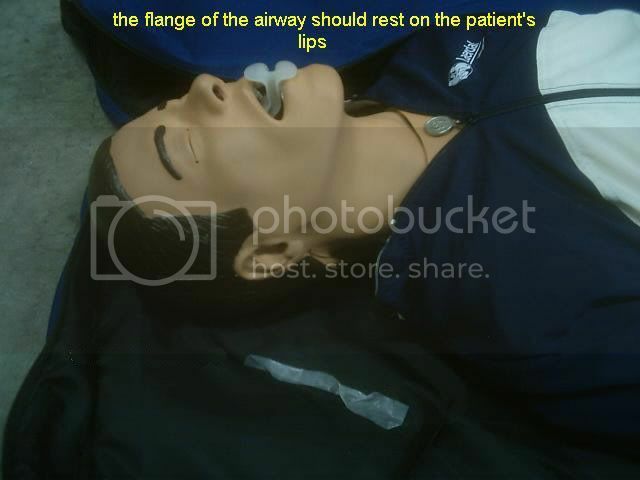 If the patient remains unconscious for a prolonged period of time, you may later attempt to reinsert the airway to determine if the gag reflex is present. 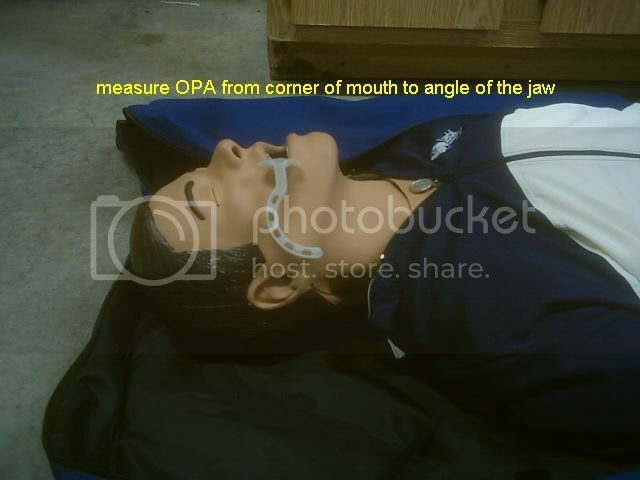 When an airway adjunct is used you must maintain head tilt, chin lift or jaw thrust maneuver and monitor the airway. 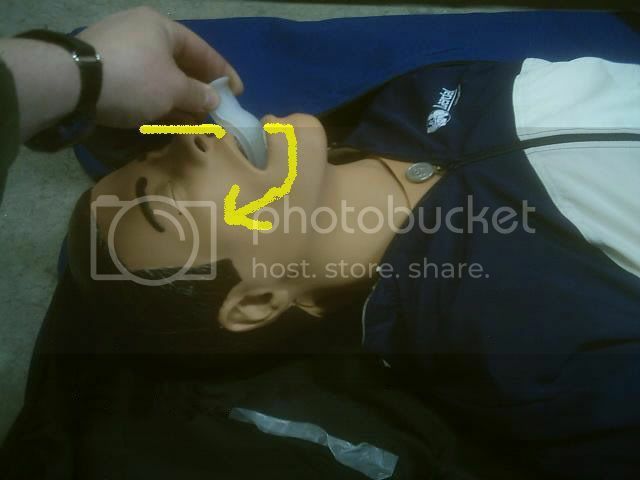 You must remain ready to suction the patients airway. A cut down turkey baster makes a low cost light weight suction unit. If the patient regains consciousness or develops a gag reflex you must remove the adjunct immediately and be prepared to suction.